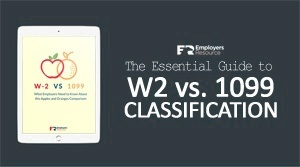 If you have salary exempt employees, you’ve probably wondered at some point about permitted and prohibited deductions from their pay. This week’s HR tip is from HR Morning which will give you a few guidelines to go by. The baseline to follow is that the FLSA doesn’t permit deductions from exempt employees, but like always, there are exceptions to this rule. Read HR Mornings post here for more information about this topic and a great list of possible situations where deductions are allowed. Make sure to check out the red flag events at the bottom showing what can turn an exempt employee into an employee who is eligible to collect overtime. One note of clarification, the article states you cannot deduct for a partial day. This is true, but you can take PTO for partial days. If you have further questions, feel free to contact your Employers Resource Client Service Representative.